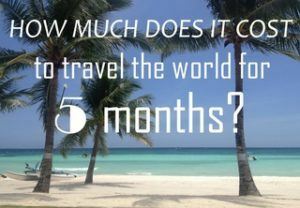 I like to do a little research before traveling somewhere and one of the things I am most interested in is how much it costs to travel in a country. Of course I was also interested how much money we would need to travel around Thailand. Turns out, despite being a tourist destination for many years, travel in Thailand is still pretty cheap! 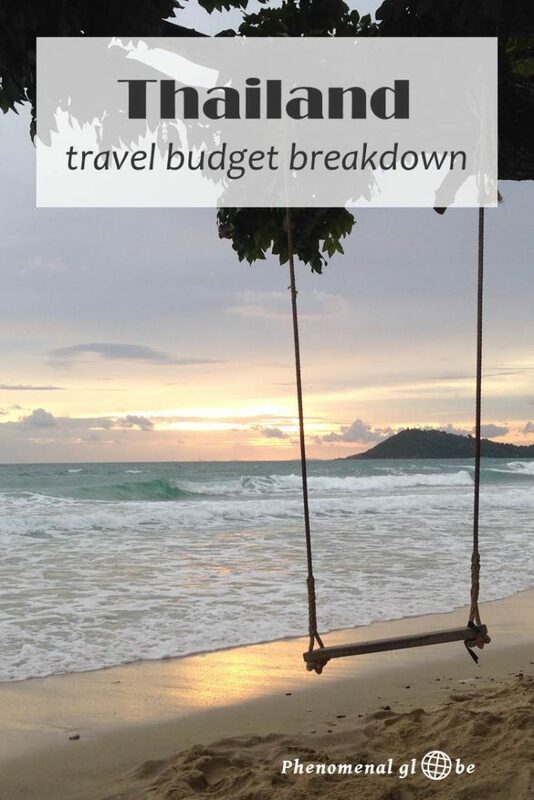 In this Thailand budget post you can find all our Thailand expenses, however, there is a reason I saved my budget breakdown post for Thailand for last. It’s the most complicated one! The ‘problem’ is, I entered Thailand 3 times during my 5 month trip, something that will sound familiar to many travelers. Thailand is a major travel hub in Southeast Asia and there are countless connections from Bangkok by lots of different modes of transportation. Which means chances are pretty much 100% you’ll end up there at least once. Or 3 times in my case. My 1st step into Thailand was when I crossed the Thai-Cambodian border at Poipet, after spending 8 days exploring Cambodia, a multifaceted country with such an impressive history… We choose the worst day to cross the border but eventually made it to Bangkok before midnight. In Bangkok we wandered around for 2 days and discovered the delights of Thai food. We than flew to Chiang Rai and crossed the border to Laos. Ah well, the lessons you learn while traveling, I have certainly learned to be more patient and more relaxed. A 15 minute delay traveling by train in the Netherlands doesn’t bother me anymore in the slightest. The 3rd time I entered Thailand was from Malaysia, all the way down south at a tiny Thai village called Sadao-Dannok. It was one of my longest travel days, trying to get from Langkawi to Koh Tao. But after this long journey I was rewarded with a relaxing week on Koh Tao, involving lots of diving and a dreamy stay at Tarna Align resort. I dubbed over what to include in the breakdown, trying to be as fair as possible in allocating the cost to give you a good insight into the costs for a trip to Thailand. In the end I settled for allocating the cost depending on the currency I paid them in. So when I spent half a day in Thailand traveling from Bangkok to Huay Xai, I allocated all the costs for food I paid in Thai Baht to this budget breakdown, but the costs for the food I paid in Lao kip to the budget breakdown for Laos. This is as good as it gets and should definitely give you an estimate how much a trip to Thailand costs. And as always: the slower you travel, the lower you’ll daily costs will be! Unless you stay at a 5 star resort every day, but that’s a choice you’ll have to make for yourself;-). I traveled around Thailand with my husband, all expenses are for the two of us together. As explained above, we spent approximately 10 days in Thailand. I quote prices in Thai Baht as well as € and $. When we were in Thailand, €1 was around 37THB and $1 around 33THB, but as the exchange rate varies this might be a little different now. as with my budget breakdowns for the Philippines and Malaysia, I excluded the costs for the dives I did, as I feel this would not be a fair representation of the daily costs because not everyone will go diving. But I highly recommend you do, diving is awesome! I can already tell you, traveling in Thailand can be done for a lot less than we did! This budget breakdown includes 2 flights, and even though they were very cheap flights it still increased the average daily costs. Also, we stayed at the Tarna Align resort, on Koh Tao, which was by far the most expensive accommodation of our 5 month trip. But we decided to end our trip in style and that’s why we spent the last 2 nights of our trip at this awesome resort with semi-private pool. Worth every Baht! 1. How much does accommodation cost in Thailand? Of the 10 days I spent in Thailand I only slept in hotels for 8 nights. I spent a night on the boat from Koh Tao to Surat Thani and allocated these costs to transport. On my last day in Thailand I took a flight home in the middle of the night… No accommodation for that night either, just lots of tears;-). Anyway, I stayed at 5 different hotels and spent 850THB / €23 / $25,50 on on accommodation an average travel day. Total amount spent on accommodation: 8500THB / €230 / $255. In the table below you can find 3 of the 5 hotels I stayed at. I only included the places I recommend, I do not provide links for hotels I would not return to myself. You can find more details about our accommodation in my Thailand itinerary. 2. How much does transportation cost in Thailand? Transport in Thailand is cheap and in general very well organized. Besides the time we waited in a train without a locomotive for 4 hours… Check my 10-day itinerary detailing how we got from A to B. Transportation costs were 450THB(€12/$14) on average per day, as I mentioned this includes 2 flights. The total transport costs for 14 days were 4500THB (€120/$140). Because the train was delayed so many hours this little girls ended up sleeping in the monks robe almost the entire trip. So cute! 3. How much are the costs for food in Thailand? Food in Thailand was the cheapest in Southeast Asia. Malaysian food was also a bargain, but noting beats Pad Thai for 35 Baht! And so delicious! I learned to love hot food and Thai food can definitely be hot;-). Nomnom… On an average day we spent 870THB (€23,60/$26) on food and drinks. Total costs for food and drinks were 8700THB (€236/$260). 4. 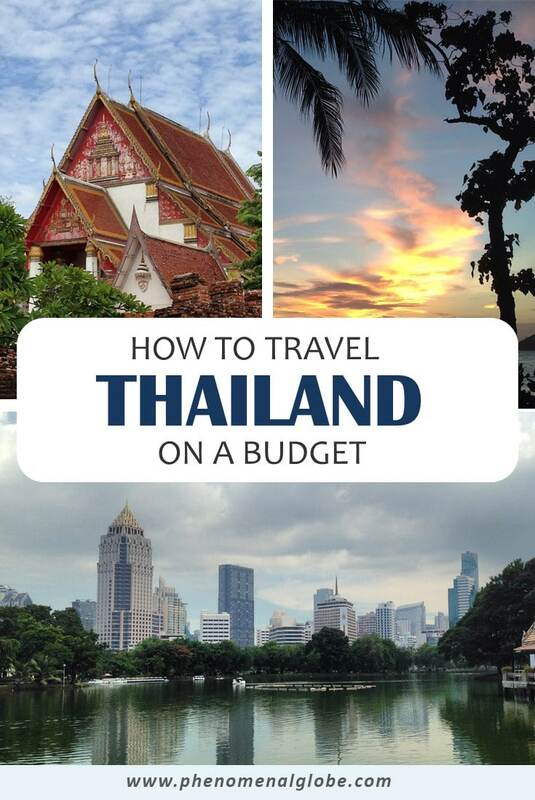 Things to do in Thailand: how much do they cost? As I mentioned above, I didn’t include the costs for the Advanced PADI Open Water Course I did on Koh Tao. 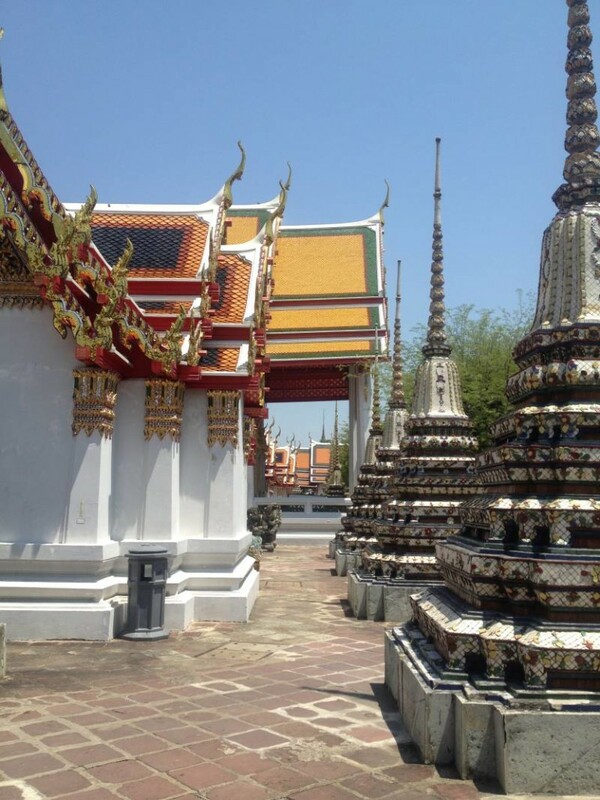 Besides diving, our only paid activities in Thailand were a visit to Wat Pho, home to the famous Reclining Buddha and seeing a movie at the SF cinema. Because air conditioning… And because I love movies. Anyway, the entrance fee for Wat Pho was 100THB per person and the SF Cinema at Terminal 21 was 160THB per ticket. Average per day 52THB (€1,40/$1,50), total costs for activities 520THB (€14/$15). I have not nearly seen enough of the country, there is so much more to see and do in Thailand! I would love to hop on a live-aboard around the Similan Islands and go diving (and hopefully see a whale shark, one of my major bucket list items!). Or go touring around the North of Thailand on a scooter. Or do some island hopping in the South… Plus, after being totally wowed by the magnificence of Angkor Wat, I would love to see Ayutthaya as well! Oh, and also: Thai people are the sweetest and kindest people in the world! Super friendly, helpful and smiling most if not all the time. I know I already mentioned Thai food, but THAI FOOD! That alone is reason enough for me to go back. And since Bangkok is such a major travelers hub, I probably will:-). Note October 2016: in July 2016 I made a second trip to Thailand and not only visited Ayutthaya but Sukhothai as well. And while Angkor remains my favorite ancient temple, Ayutthaya and Sukhothai were beautiful and definitely worth a visit! Also check out my travel budget posts for Cambodia, Laos, Malaysia, the Philippines, Singapore and Vietnam! Impressive! We managed just a bit more then that travelling as a couple in Thailand – but it’s hard as we kept re-entering it whether it was to/from Myanmar or Laos etc I’ve pinned your excellent travel breakdown pic. Thank you for pinning the budget breakdown Stefan, glad you like it:-). I would love to visit Myanmar, will check out your blog for inspiration! Fantastic budget breakdown, great guide. You definitely have to come back to Thailand for the Similan Islands! It was the first thing we did when we arrived a month ago, and seeing the rock formations underwater was incredible. Oh the food! I think that’s why I haven’t left Thailand yet. Haha the multiple currency thing is a bit of a hassle, but makes it easier for people who haven’t been to a country to understand the costs as well;-). Plus, it’s been almost 9 months since I was in Thailand so I also had to check what the exchange rate was. We spent a month in Thailand in 2015 and loved how inexpensive everything was. My favorite part was all the absolutely delicious food we ate at some great prices, usually just $1 or $2 a plate! This is a good budget breakdown. Thailand is so popular and still mostly fairly priced. Also quite interesting getting to know how you entered the country those few times! Nice to see such a detailed cost breakdown! The hotels you stayed at looked great, and this really made me crave Thai food, lol! Would love to take a trip there soon! 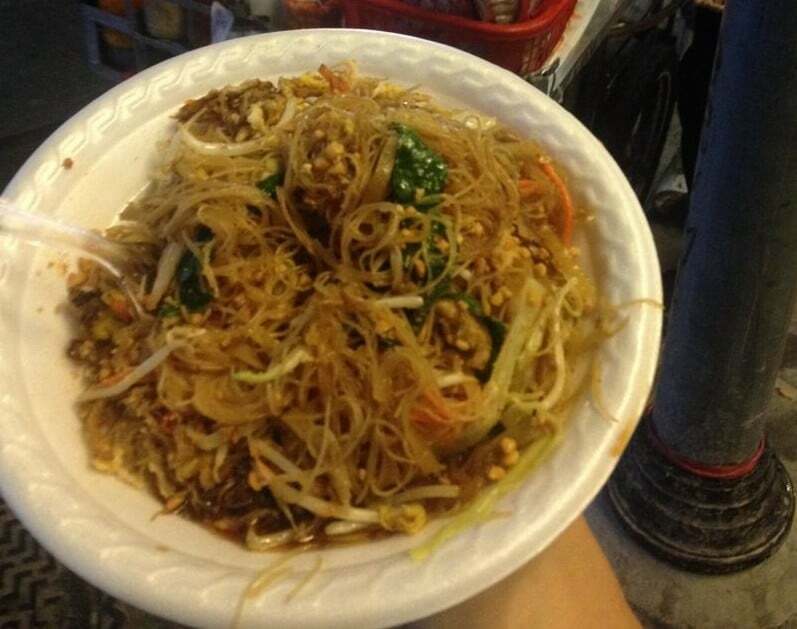 Writing this post made me miss Pad Thai so much, haha;-). I hope you get to visit Thailand soon Jenna! I’ve done Thailand on a budget so many times, but now I’ve fallen in love with its luxury side, and the bargain prices that go with it. Thailand really is a country for every traveller. True, Thailand is very versatile and I loved our stay at the luxurious Tarna Align:-). But my travel funds are not sufficient to stay only in high-class resorts. And I actually don’t mind, I like budget travel, particularly using public transport because it’s how the locals get around as well. This is such an informative post – love it! We are headed to Thailand for a few months this spring. Definitely bookmarking this for our time there. Great tips, thanks! I am so happy to hear that Andrea, you are very welcome:-). I wish you an amazing trip in Thailand! Thank, happy to help:-). Green Curry is one of my favorite dishes, as is green papaya salad. Kai Jeow is another great dish and mango sticky rice is a divine dessert… Basically, pretty much all Thai food is delicious! Enjoy your trip! Thank you, happy to hear you enjoyed the post! Well, that depends if you want to stay in a private room or a dorm. If you prefer a private room you’ll probably spend around €50 per day. Accommodation costs will be similar to ours, but you’ll spend a little less on transport, food and activities. If you stay in a dorm I think €35-40 per day would be doable. Hope this helps! Enjoy your trip:-).